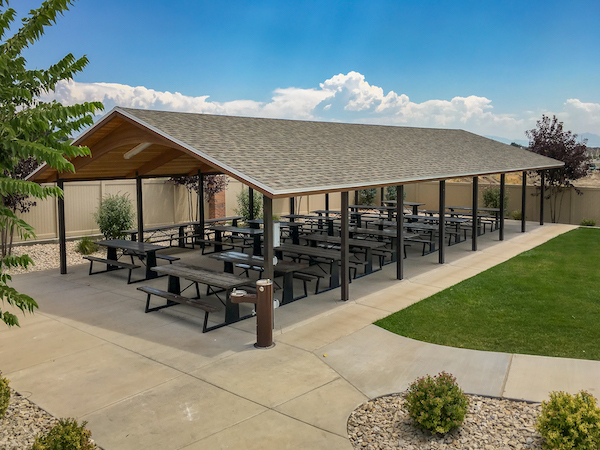 Are you in need of a beautiful shade structure to improve a playground near you? 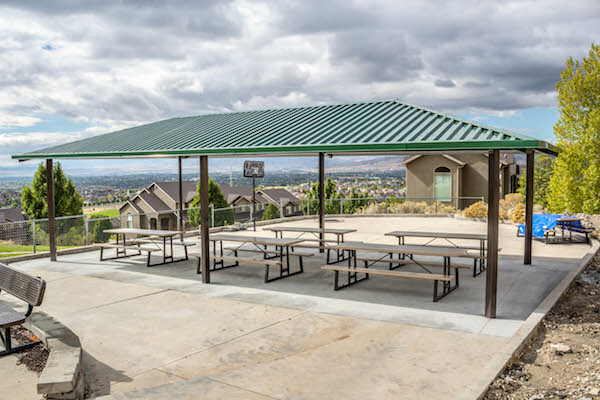 Smith Steel Works manufactures playground shade structures for schools and parks all around the United States. To begin your order of a playground shade structure, call us today. Mega rib roof style is made of durable steel and gives the roof top a nice textured finish. 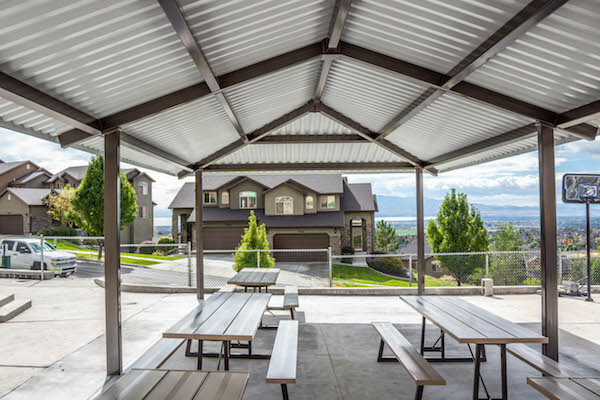 Steel roof comes in a variety of colors to choose from. 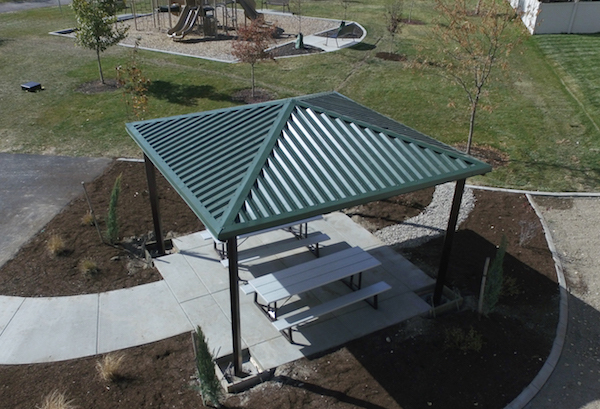 Hip roof style is a square prism and a great look for smaller pavilion sizes. Metal roofing comes in a variety of natural colors to choose from. 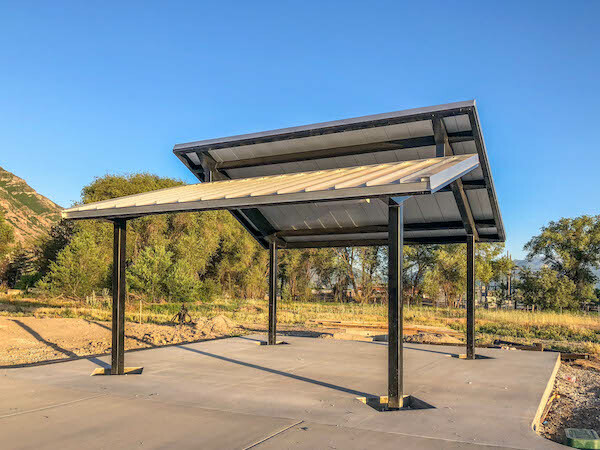 Clerestory shade structure adds a unique style to any playground. Comes 20 x 20 or 30 x 36. Steel rib roof comes in a variety of colors. Asphalt shingle roof is made from wood which creates a beautiful, modern look. Select a color from our wide range of options here. Each playground shade structure is powder coated to give it a clean finished look. Here at Smith Steelworks, we powder coat all of our steel products to provide the equipment with the best source of protection against rust and corrosion. We offer a wide variety of powder coat colors to help match the exact look you need for your new shade structure. Choose the color of your new playground shade structure below. 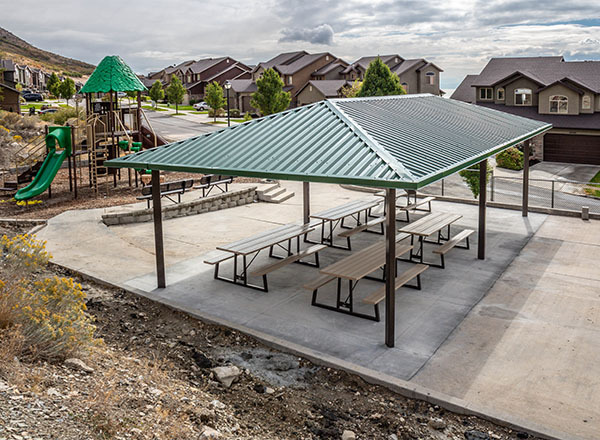 Most playground shade structures are sold to customers though third-party representatives. At Smith Steelworks, we guarantee the absolute best prices for our customers by eliminating all the markup prices from a “middle man”. By working directly with the manufacturer, not only are you offered the best price but also ensured the fastest, most high quality service. Here at Smith Steelworks, we make customer service a #1 priority for each of our customers.